Join me Thursday, May 31st, for a live and interactive FutureofEducation.com webinar with Khalid Smith to talk about Startup Weekend EDU, the potential impact of entrepreneurial activities on the education ecosystem, the new film on education he's been working on, and the recent and controversial decision to partner with Pearson. We'll also be joined by Nicole Tucker-Smith, assistant principal of a middle school in Maryland, and who with Khalid (her husband) co-founded their own educational startup called LessonCast. Recordings: The full Blackboard Collaborate recording is available at https://sas.elluminate.com/p.jnlp?psid=2012-05-31.1659.M.9E9FE58134BE68C3B413F24B3586CF.vcr&sid=2008350 and a portable .mp3 audio recording is at http://audio.edtechlive.com/foe/khalidnicolesmith.mp3. 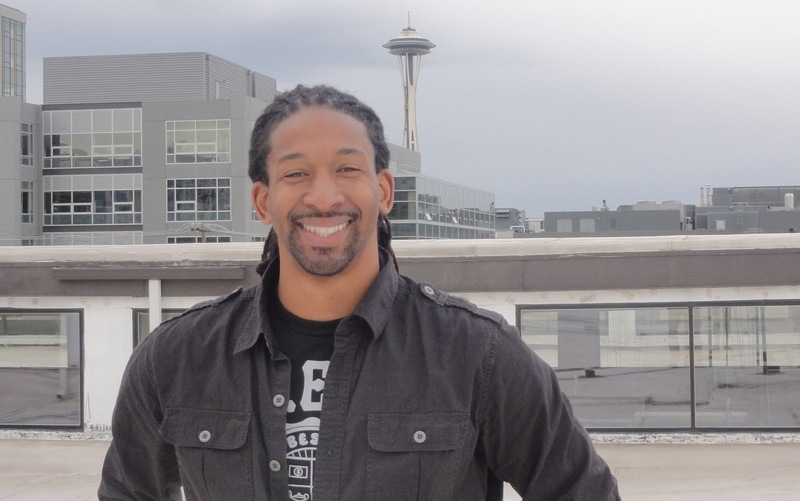 Khalid R. Smith is a former marketing and strategic brand management expert with an engineering background, and he leads education programming and strategy at StartupWeekend. He brings together hackers, entrepreneurs and education experts to build teams, start companies and acquire the resources to make meaningful advances in the way people teach and learn. He also puts his expertise into practice as co-founder and chief executive of LessonCast Learning Inc. a professional development platform for leaders of professional learning communities. More short ramblings can be found @KhalidRudo and longer ones at KhalidRudo.com. Nicole Tucker-Smith is a master teacher, educational consultant, and experienced school and central office administrator, Nicole has experience planning, implementing, and evaluating high quality teaching and professional development. As a leader in a restructured school, Nicole developed the LessonCast content format and process in order to meet the instructional and educational leadership needs of her school learning community. She can be found on the web at http://Lessoncast.org/author/nicole or @MsTuckerSmith. Startup Weekend EDU is a "global network of passionate educators, entrepreneurs, developers and designers on a mission to revolutionize the education and learning markets. This is citizen-driven EDU reform." As part of the larger Startup Weekend program, they are "weekend-long, hands-on experiences where entrepreneurs and aspiring entrepreneurs can find out if startup ideas are viable. On average, half of Startup Weekend’s attendees have technical backgrounds, the other half have business backgrounds. Beginning with open mic pitches on Friday, attendees bring their best ideas and inspire others to join their team. Over Saturday and Sunday teams focus on customer development, validating their ideas, practicing LEAN Startup Methodologies and building a minimal viable product. On Sunday evening teams demo their prototypes and receive valuable feedback from a panel of experts."